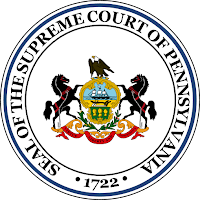 The Pennsylvania Supreme Court has agreed to hear the appeal in the case of Roverano v. John Crane, No. 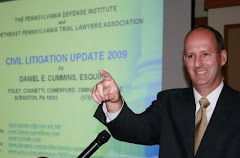 58 EAL 2018 (Pa. July 31, 2018) to address an issue of first impression involving the question of whether the Pennsylvania Superior Court misinterpreted the Fair Share Act in terms of apportioning liability amongst defendants in the context of this products liability case. The Supreme Court's Order can be viewed HERE. The Tort Talk post on the Superior Court's decision in Roverano, along with a link to that decision, can be viewed HERE. Source: "Pa. Justices to Consider Application of Fair Share Act in Strict Liability Cases" by Max Mitchell, The Legal Intelligencer (Aug. 7, 2018).